A small crop this month I'm afraid. It's the run up to the end of the academic year which always means a mountain of transition paperwork to constantly keep on top of for teachers like me. It's a hectic battle between trying to get everything finished off and completed for one year, while already making a start on the next. At the beginning of the month, my family and I went out for a Sunday pub lunch for my mum's birthday. 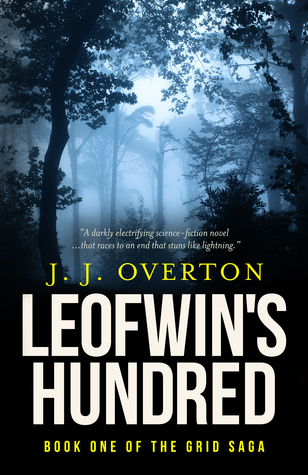 At the bar was a flyer advertising the book Leofwin's Hundred by J.J. Overton. The author is a native Coventrian, and the book is set in ancient Warwickshire, which is why it was advertised in said pub. As an unashamed name-nerd, it definitely made me happy to see a great Anglo-Saxon name like Leofwin in the title, but, if I'm honest, it was mostly the nerdy thrill that I automatically knew what Leofwin meant (leof "dear, beloved" + wine "friend"). As usual, my poor suffering family had to hear about its origins, too. I have recently come across a young British actress named Raffey Cassidy. I was curious to discover whether Raffey was her full name (or even her real name), and a quick search through birth records revealed the answer. Her full name (first and middle name) is Raffey Camomile. She is the youngest of five children, with a sister, Grace May, and three brothers: Finnigan Joe “Finney”, Mossie Milo and Ridley Fisk. Grace and Finney are also actors. Raffey, itself, is a rare surname. It could be a variant of Roffey which means "habitation by rough enclosure" or a variation of the surnames derived from Ralph (and it's medieval for Raffe). This month, I've have also had a chance to watch Lucy Worsley's series on Restoration-era women: Harlots Housewives and Heroines. The third episode concentrates on notable women from the period. Including the novelist and playwright Aphra Behn -- also known as Astrea. The name Aphra itself is often connected to the phrase "in the house of Aphrah" in the Bible. However, Aphrah here means "dust" and isnt actually a given name at all. Earlier forms of the name Aphra include the medieval Effrye, Effery, Effray, Affray and Affery which suggest more strongly that Aphra developed as the 17th century spelling of these, the origins of which could be from a multitude of similar Old English names: Aelthryth, Aelfthryth, Aethelthryth, Aethelfrith and Alberada. The ancient Greek name Zoilus has also atracted my notice this month. Zoilus is the Romanised form; the Greek is Zoilos, derived from the Greek ζωός (zoós) "life, alive, living." It was not only borne by a Greek philosopher, but also an early Christian saint and two Indo-Greek kings who ruled the Punjab. This month, news outlets were reporting on Australian MP, Senator Larissa Waters, addressing Parliament while breastfeeding her baby. The baby in question, Alia Joy, is the first in the country to be breastfed in Australian parliament since parliamentary rules were changed last year to allow mothers to feed their children in the chamber. It wasn't the baby's name (pretty though it is) that caught my eye, but her mother Larissa's. I'm not a stranger to the name -- I've written plenty of blog posts about it -- but everytime I hear it "in real life," I'm always struck by it and muse over why such a lovely name is still so rare when the likes of Melissa and Jessica are, or once were, common-place. Kitty and Sam are expecting baby #3. Kitty writes: "We'd love your help with a sibling for Isadora (Dora) and Rafe. We don't know what we are having. We have enjoyed using names that aren't the Olivia/Amelia/Oliver popularity but at the same time, having gone away from the norm we are quite tempted to go back for something more mainstream. Length not a factor although drawn to another a ending for a girl and short for a boy... but having said open to all! I think our ideal name would go well with the other two and sound upright, possibly old school but NOT oh - groan - here they go with a wacky name type name!" Apollonia –What I love about Isadora and Rafe is their quirky yet refined style. I get a fabulous Restoriation-era vibe from both. Although uncommon now, a name once used by the aristocracy in the 17th and 18th century is the regal Apollonia, which, like Isadora, is an ancient Greek theophoric name that was adopted by early saints. It lends itself nicely to sweet Polly as a nickname – the perfect complement to Dora. If Apollonia is a little too grand, how about the pared-down variants Apollina or Apolline? Sibella – Another 17th century gem which also harkens back to ancient Greece is stately Sibella, which feels antique and modern at the same time. Sibby, Bella, Silla or Sella all work as nicknames. Cecily / Cecilia – Between Matilda and Ottilie sits sweet Cecily/Cicely/Cecilia. Once a noble Roman name which was also borne by a medieval princess (Cecily of York was daughter of King Edward IV). Millicent – A charming name which evokes strength and a host of admirable women. Millie is the obvious nickname, but Missy and Minnie also work. Primrose – A delicate floral choice which has links to the nobility from the 16th century.The nickname options are bountiful including Mimi, Missy, Posy, Prim, Romy, Rose and Rosie. Violet – Or how about the equally fragrant Violet? It's just as vintage as Jessamy/Jessamine, but a bit more mainstream. Nicknames Letty and Etty give the name an even quirkier refined edge. Juniper – Another botanical choice that has an ancient heritage. Like Isadora and Rafe, it is unexpected but recognisable with a quirky-refined style. Juno, Ginny, Jenna, Jenny, June and Junie can be used as nicknames. Lucinda – Sweet and stately Lucinda shares Isadora's ladylike-with-a-backbone qualities and classical heritage. Jessamy / Jessamine – Both Jessamy and Jessamine are the older poetic forms of the jasmine flower, associated with love, grace and good-naturedness. Both Jessamine and Jessamy/Jessamie have been in use since the 18th century as given names, likely evolving from the medieval name Ismenia. Penelope – Now in the top 100, it is more mainstream than Isadora and Rafe but doesn’t at all feel common. Like Ottilie, Penelope is a lengthy feminine choice with a gentle elegance. Nell, Penny, Poppy or Polly would make great short forms. Josephine – A quintessentially sweet and down-to-earth name. Not at all common, yet universally recognised and admirable. Posy, Josie, Jo and Effie make for a wide choice of nicknames. Jasper – A name with a fashionably dapper style, plenty of heritage and charm. Hugo – Just as affable and quirky as Ludo, but a little more mainstream. Brooks – As dashing, sleek and cool as Rafe, Brooks is a formal and sophisticated name with a traditional but uncommon feeling thanks to its transferred surname use. Theron – A bold and dashing ancient Greek name, meaning "hunter", with a slick and modern sound. Ivo – Rafe's ancient Germanic heritage is reflected in knightly Ivo, which has several great namesakes. Jago – That stylish -o ending again in this perfectly stylish and suave Cornish form of Jacob/James. Emmett – A sophisticated choice which combines Smooth, worldly elegance with an affable charm. Lorcan – An uncommon but accessibly stylish name with a great ancient, Gaelic heritage. In the same vein, but more common, is sleek Scottish Lachlan. Fergus –The same Gaelic charm can be found in friendly Fergus. Both debonair and amiable and equal measure. Fletcher – Smooth and cool, Fletcher has the same suave style as Rafe. Its medieval link to archery gives it added appeal and sophistication. Wilbur – Algy's preppy flapper style is reflected in genial Wilbur. Endearingly cute and urbanely serious at the same time. Blaise – A brisk and crisp name with both Roman and Old English heritage and saintly style. UPDATE: Welcome, Edward Arthur George "Eddie"! Swyn Elenid Haf (Elsi Nora Blodwen) - swyn means "spell, charm" in Welsh. Hamish is an anglicised form of Seumas – the Scots Gaelic form of James – which is, itself, the anglicised form of Jacob (Latin Jacobus / Hebrew Ya'aqov). Seumas is pronounced SHAY-məs. Given that James was pronounced with two syllables during the Middle Ages, and Gaelic does not have the letter J, we can see a clear transition from one to the other. Strictly, Hamish is actually the anglicised spelling of Sheumais – the vocative form of Seumas. In Scots Gaelic, Sheumais is pronounced HAY-mish as we can hear in the Scots Gaelic names for Jamestown and James River in Canada (audio in link). James has been in use in Britain from at least the 12th century. It was initially in infrequent use in England, but caught on quicker in Scotland, where it was borne by several Scottish Kings. The first King James was born in 1394 and from him was a continual succession of monarchs named James in Scotland up until King James V (1512–1542). His grandson, James VI (1567–1625), then became James I of England. King James I and his successors were known by the Scots Gaelic form, Seumas, in Scotland. While names don't change with case in the English language, they do in Gaelic, and so Seumas becomes Sheumais when the sentence is in the vocative case. This can be seen, for example, in the title of the Jacobite poem Do dh'Arm Righ Sheumais ("To King James' army"). Sir Walter Scott used the name Hamish for one of his characters in Chronicles of Canongate (1827), and William Black (1841-1898) used the name several times in his novels. The most notable is Macleod of Dare, published in 1878 (and reprinted in 1883), which was the inspiration for the poem The Revenge of Hamish by American poet Sidney Lanier in 1878. Black's novels were incredibly popular in their day, so it seems little coincidence that this is same period that Hamish grew in use across Britain. Though it did not rank in 1900, Hamish was in Scotland's top 100 in 1950 at #86 but had fallen out again by the next point of data in 1975. From 1975 to 1995, Hamish consistently ranked between #107-#185 in Scotland. It reached #87 (74 births) in 1996, but them fell just below the top 100 again until 2003. For the next decade, Hamish steadily bobbed just above and below #100 each year (peak year: #90 (67 births) in 2004; lowest point: #113 (62 births) in 2008). In the last few years, Hamish has seen a rise in Scotland, reaching #81 (84 births) in 2015 and #57 (117 births) in 2016. In England and Wales, Hamish is much less common. Since 1996, it has remained consistently below the top 200, but always within the top 500. It peaked at #222 (138 births) in 1998, and was at its lowest at #481 (74 births) in 2010. In 2015, Hamish ranked #399 with 106 births. * Hamish MacCunn (1868–1916), Scottish composer, conductor and music teacher. * Hamish Imlach (born 1940), Scottish folk singer. * Hamish McAlpine (born 1948), Scottish footballer. * Hamish Stuart (born 1949), lead singer of Average White Band. * Hamish Bowles (born 1963), European Editor-at-Large for Vogue. * Hamish Clark (born 1965), Scottish actor. * Hamish Carter (born 1971), New Zealand triathlete and Olympic gold medalist. * Hamish Blake (born 1981), Australian comedian and radio presenter. * John Hamish Watson, Sherlock Holmes's closest companion in Conan Doyle's classic detective series. * Hamish Macbeth, detective in series of novels and television adaptation starring Robert Carlyle as the eponymous hero. * Hamish MacLeod, a character in the Ian Rutledge novels by Caroline and Charles Todd. * Hamish and Dougal, comedy characters from Radio 4 series I'm Sorry I Haven't a Clue. Eloise and Adrian are expecting their first child imminently -- a surprise! If a boy, they have their name sorted. But for a girl, they're stumped. Eloise writes: "We're both teachers so really struggle to find names we don't associate with students! However, we are still struggling and wanted some advice if you're happy to give it. We don't know the gender of the baby yet but we have essentially decided on a boy's name: Aibne Keziah Ferguson (Surname). My husband is Scottish and I am half French so we're keen to include these elements when we can, and ensure the names aren't too commonly used. However, we are struggling with a name for a girl, mainly as we have found lots of beautifully romantic French names which sound horrible in English! After watching your video on unusual names we are quite keen on Adelise but we're a little worried it will appear a little naff as my husband is Adrian and I'm Eloise. It's the sound we like, not the link to our names. Isaline/Isalene - sounds a little like a cleaning product! Florie - not very French but we are thinking of using this as a middle name. We would be so grateful if you would be able to help us find romantic and unusual names for girls." I know I'm biased, as I was advocating for Adelise in my video on Usable and Unusual Girls' Names, but I really think it is a great choice for you, and honestly don't think many (if any) people will make the connection with the names. I'm Eleanor; my mum is Elaine. It wasn't deliberate. Like you, my parents just liked the name Eleanor, not that it sounded the same (though my mum appreciated that they both had a connection to Helen). And here's the thing -- apart from our post sometimes getting muddled, NO ONE has ever made the connection between them sounding similar. In general, I have found, people are often drawn to names which sound similar to their own and their immediate family's names -- especially if they have positive associations. So, count me in for a vote for Adelise. Floriane / Florine – For more of a French twist on Florie, how about Floriane or Florine? Perfectly neat and pretty and you could use Florie as a nickname. Sylvie / Sylviane – Sweet and stylish Sylvie is perfectly fashionable, while at the same time being very uncommon. For a lengthier form, consider the even Frencher sounding Sylviane. Zelie – Like Sylvie, Zelie is a a sleek French choice with bags of style. For a longer alternative there is also Azelie. Delphine – A gracefully chic name which links to the mystical and ancient site of Delphi in Greece. An even rarer variant I have come across is Adelphine or Edelphine which may be up your street. Henriette – While Henrietta feels stately and refined, Henriette is a lighter yet still equally regal form which is very rare in Britain. It lends itself to the vintage nicknames Hetty, Hattie and Etty. Apolline – In the same vein as Isaline but with an 18th century aristocratic style. Using Polly as a diminutive gives it a dual personality. Magali – A buoyant name which hails from Provence, either as a form of Madeline or Margaret. Soline – Currently in the bottom half of France's top 100, stylish Soline is a variant of Solène, but more accessibly for English-speakers. Sirine – Just below the French 100 sits Sirine, a French from of the Persian name Shirin which means "sweet," "amiable". This is as romatic as it gets: Khosrow and Shirin is famous Persian romance by the poet Nizami Ganjavi (1141–1209) who also gave us the name Layla. Arabelle - Arabella's routes are thoroughly Scottish, so the French form, Arabelle, is not only a romantic choice, but perfectly blends both French and Scottish heritage. Merrilees - Melodic Merrilees is a Scottish placename, from West Lothian, now only found as a surname and given name. It is definitely uncommon as there have only been 121 registrations of this as a given name since 1855 including celebrity chef/TV presenter Merrilees Parker. Mariette – Back in the Middle Ages, Scotland adopted the French -et/-ot diminiutive form for Mary, leading to the Latinised Mariota or simply Mariot/Mariette in everyday life. Euphemia – Sweet and melodic Euphemia was a popular in 18th and 19th century Scotland, particularly with the diminutive Effie. For a French-twist, there is also Euphémie. Meryem – The Turkish form of Miriam which feels softer and more romantic, but with just as much refinement. Idony – An ancient romantic name which feels fresh. Idony is the Anglicised form of Iðunn ,the Norse goddess of spring. Where it was once common, now it is a rarity. Emeney - Emeny, Emeney, Emmony, Emmence, Emmens and Emney are all surnames derived from the mysterious medieval name Ismena. The origins are obscure, though one very plausible theory links in to the Celtic *moyni- "treasure. "The name was used in various forms in the Middle Ages, including: Isemeine, Ismeina, Ismenia, Ysmena, Imania, Imayne, Imeyna, Emony and Ymanie. Melusine – In European folklore, Melusine was a water-spirit or mermaid. It has a mellifluous sound and chic style. Melise – A rare but elegant variation of Melissa which is just as sweet (pun intended!). I hope this has been helpful. Best of luck name hunting. Following from the Rapidly Rising Boys, this week, I'm taking a look at ten girls' names below the top 100 in England and Wales which are on a steep incline in popularity. Could any of these be future top tens? Rosella Penelope Grace de Courcy - surname is double barreled. Nola is considered to be a shortened form of either Magnolia or Finola. Magnolia is the name of a bold fragrant spring flower which was named in honour of French botanist Pierre Magnol. It came into use as a given name in the 19th century thanks to the love of floral names. In Victorian floriography it meant "love of nature." Finola is an anglicised form of the Old Irish name Fionnuala, made up of the elements fionn "white, fair, blessed" and guala "shoulder." Nuala (NOO-lə) developed as a short form, and so it is natural to assume that, as Finola is a anglicised form of Fionnuala, so Nola is a anglicised form of Nuala. But there is a major flaw to this theory that Nola developed as a short form. With most diminutives, though they may at times supersede their original form, that original is still clearly also in concurrent use, and must have been used well enough previously to have created the short form in the first place. However, there is little evidence of either Finola and Fionnuala (outside of Scotland and Ireland) or Magnolia in enough use in the English speaking world to explain the use of Nola in this instance. I believe the answer can be found in America, where Nola was far more common in the late 19th century, than in Britain. A look at the top 1000 in the United States in 1880 shows a love of short, diminutive-style names with strong vowel sounds. Nola ranked at #340 and Magnolia at #658, but there was also Lula (#39), Nora (#56), Viola (#94), Lola (#117), Eula (#179), Ola (#184), Lila (#257), Nona (#280) Leola (#331), Iola (#439), Zola (#737), Creola (#736), Eola (#775), Nolia (#816) and Nolie (#910). With so many of the same sounds in fashion, Nola was a natural evolution. Even if Nola was sometimes used as a nickname for Magnolia (as Nolia and Nolie suggests), it is clear that it was also an independent coinage thanks to its fashionable Victorian sound. The same can be seen currently in the Netherlands, where Nola is currently rising and more popular (at #130) than in any other country. Here it is doubtful that its use is thanks to either Finola/Fionnuala or Magnolia. Yet again, however, the sound is key. The Dutch top 500 of 2016 includes Mila (#8), Nora (#14), Noor (#25), Noa (#27), Nova (#29), Lola (#114), Noelle (#156), Jula (#191) and many other 2 syllable names ending in -a. Added to this, Nola is also the name of a town in Campania, Italy. Nola is the modern form -- a rendering of its ancient name, Nuvlana. Saint Paulinus of Nola (354-431) is credited with introducing the use of bells to Christian worship, though this creditation is disputed. Either way, the small hand-held bell used in the choir during consecration was named the nola after the town of Nola and the large steeple bell the campana after the surrounding area. Nola has further saintly heritage thanks to Saint Felix of Nola (d.c.250) who was known for having sold all his possessions to aid the poor, and who was greatly revered by the Campanians, and also Saint Maximus of Nola (d. 250), Felix's contemporary. In the United States, Nola was in moderate and consistent use from the end of the 19th century up until the mid 20th century, after which it declined. Magnolia was also used consistently, though far less commonly -- while Finola did not rank at all in the US top 1000. Nola was even more common in Australia, ranking #74 in 1920, #53 in 1930 and #94 in 1940 in New South Wales. Nola Nicholas (b.c.1920), was heiress to the Australian 'Aspro' pharmaceutical fortune and married Yehudi Menuhin, Baron Menuhin (1916-1999), renowned violinist and conductor, in 1938. From 1996 to 2006, Nola was consistently outside of the top 1000 in England and Wales, never garnering more than 8 births in any given year. It saw a moderate rise after 2006 when it ranked #1585 (15 births). This may have been in a small way thanks to the film Match Point (2005) which starred Scarlett Johansson in the principle role of Nola Rice. Nola saw a marked increase in 2014, when it finally moved up into the top 1000 at #877 (43 births) and rose sharply again in 2015 when it ranked #583 (73 births). In Scotland, Nola only ranked nine times from 1974 to 2007, given to no more than one girl in any given year. From 2008, it ranked more consistently, reaching #674 (4 births) in 2011, #477 (7 births) in 2014 and #413 (8 births) in 2016. In Northern Ireland, Nola either did not rank, or was given to fewer than 3 girls in any given year (meaning its rank is suppressed) from 1997 until 2015. In 2015, it reached #426 (3 births) and was #306 (5 births) in 2016. * Nola Fairbanks (b.1924), American actress. * Nola Marino (b.1954), Australian MP. * Nola Darling, character in film She's Gotta Have It (1986). * Nola Rice, character in film Match Point (2005). * Nola, main character in 2003 film Nola. * Nola Falacci, character on TV series Law and Order: Criminal Intent. * Nola, a town in Italy. * NOLA, an acronym for New Orleans. Thanks to Sosie for requesting this name. Gillian and Andy are expecting their second son, a brother for Sebastian Digby – "Digby." "Our first born is called Sebastian Digby, although he is known to everyone as Digby. Although we still love the name Sebastian, after he was born it didn't quite seem to fit and when he was a couple of months old we decided he should be known as Digby instead. It suits our fun and spirited little boy so well and we are pleased to have not yet met another child with the same name. We have recently found out our second baby is going to be another boy and we are so far really struggling to find a name that will match with Digby's. We would like a name that is unusual, quirky yet traditional and probably English in origin. My husband and I both like Barnaby although he had vetoed this on the grounds that he has two friends with this name. My husband loves the name Basil but unfortunately I don't like it at all." It's such a shame that Barnaby is off the table, as that is definitely one of the first names I would suggest to compliment Digby. Digby is such a delightfully friendly name! It’s a surname-turned-first name that comes from the English aristocracy, giving it a traditional-but-not-mainstream feel alongside a cheerful shabby-chic vibe. These attributes are what I've held in my mind when compiling these suggestions. Monty – If Digby is fun-loving yet refinied, so too is genial Monty. Known yet uncommon and stands well on its own, though Montague or Montgomery are equally pleasing longer forms. Murray – If Monty is on the right lines but just not quite right, how about this equally friendly old-timer? Murray is a Scottish surname-turned-firstname taken from Moray in Scotland, and ultimately derived from the Gaelic muir "sea." Rufus – Friendly and refined Rufus is an undeniably cool name that has a rising profile yet still feels unexpected and quirky. In a similar vein – and also worth considering – is affable Ralph. Felix – A solid and traditional name with a hint of the shabby-aristocrat shared by Digby. Gus – Adorable old-timer Gus is as solid as they come with a fun-loving style. I was served by a young (20 something) Gus while out shopping recently and seeing "Gus" on his name-tag just made me smile. Gus is such a delightfully friendly name – you can’t help it! Though it works perfectly well on its own, there are also loads of fantastic names that Gus can be short for including carefree Angus, lively Fergus, stately Magnus and regal Augustus. Otto – An affable choice that is familiar but not common. Stylish Otto is bold and masculine with a crusty-cute vibe to boot. Hector – A strong, striking and debonair name with a Classical heritage and a dash of Highland-hero. Rafferty – A genial and dashing surname-turned-first name that feels distinguished yet down-to-earth. Raffy, Rafe and Rhett all work as nicknames if you wanted to shorten it. Percy – Like Digby, there is something delightfully unexpected and charming about Percy. Perhaps its because it is a serious name that endearingly sweet at the same time. Percival and Peregrine are two longer forms also worth considering. Wilfred – Isn’t Wilfred just plain adorable? Traditional and sturdy with a great literary heritage, from the hero of Ivanhoe to poet Wilfred Owen. Walter – A name of two halves: comfy grandad-chic and swashbuckling pirate. Once a perennial British staple, with namesakes ranging from explorer Sir Walter Raleigh to novelist and poet Sir Walter Scott, Walter is now a sweet but unexpected choice. Redvers – Back at the turn of the 20th century, Redvers was a hit name thanks to General Sir Redvers Buller (1839–1908) who rose to national fame when he was sent out as commander of the British forces fighting the Boers in South Africa in late 1899.Thanks to his popularity, his name even reached #50 in 1900 and, though it declined in use steeply by 1903, the name was passed on to sons and grandsons for several decades afterwards. Though it is rare now, its Victorian hero-heritage gives it a perfect pedigree. Winston – Speaking of heroes, how about quirky-traditional Winston? Like Digby, it is a surname-turned-first name with a link to the British aristocracy. A strong name with a friendly feel. Ewart – Another notable Victorian celebrity-inspired name is the affable Ewart, which came into use as a given name thanks to Prime Minister William Ewart Gladstone but has been borne by several notable people including Scottish screenwriter Ewart Adamson (1882–1945), Irish poet Ewart Milne (1903–1987), British explorer, politician, and entrepreneur Ewart Grogan (1874–1967) and recipient of the Victoria Cross William Ewart Boulter (1892–1955). The surname itself derives from a medieval form of Edward. Roscoe – This breezy surname-first name, which shares Digby's northern English Viking place-name roots, was used as a hero-honour-name in America thanks to US senator Roscoe Conkling (1829-1888), a worthy Radical Republican who was strongly opposed to slavery. Thackaray – A surname which shares Digby's Norse heritage and refined qualities and is notable thanks to novelist William Makepeace Thackeray. Zebedee – A quirky and spirited Biblical name which has the same bouncy syllables as Barnaby. Gulliver – A literary name which has the heart of an adventurer. Emrys – An ancient Welsh name, traditionally derived from the Latin Ambrosius "immortal," which is steeped in legend and lore. Long associated with the legends of King Arthur as the "real man" behind Merlin, Emrys has a lovable and sturdy quality. Clive – A sweet old-timer which first came into use as a given name thanks to Major-General Robert Clive (1725-1774) "Clive of India," a British officer and adventurer who was Commander-in-Chief of British India. The name was further established and given literary credentials when William Makepeace Thackeray used Clive for the name of one of the central characters in The Newcomes (1853-5).